Connecticut's signature food may not be New Haven Pizza or Steamed Hamburger. And it’s certainly not Nutmeg (indeed, not a single nutmeg seed has ever been planted, much less harvested, in the Nutmeg state. But that's a tale for another time). Actually, Connecticut’s truly indigenous dish may be the Warm Lobster Roll, a state treasure. According to the new edition of John Mariana's authoritative Encyclopedia of American Food and Drink, the Connecticut Lobster Roll was likely born in 1927 at Perry's Restaurant in Milford. A customer asked owner Harry Perry to serve his lobster meat off the shell, dressed in butter, and placed in a bun. No need for a cracker, picks, or bib. As the New Haven Register tells it, the new sandwich proved to be so popular that Perry soon mounted a large sign over his restaurant that read "Home of the Lobster Roll." Today, order a lobster roll in most of New England and you'll probably be served something quite different: a bun filled with chilled lobster salad, the crustacean mixed with mayo, celery, and various condiments. But travel along the Connecticut shoreline and your sandwich will likely be similar to Perry's original: warm lobster meat drizzled in butter and piled high in a grilled bun, either long or round. 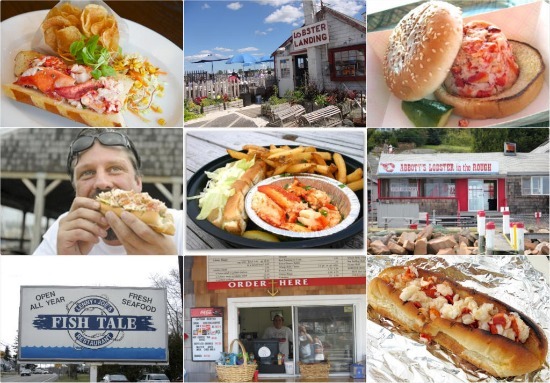 With summer starting, CTBites embarked on such a trip - up the state’s entire coastline in search of the best Connecticut Lobster Rolls. Before setting out, we questioned whether there would be much diversity. After all, the recipe calls for only three simple ingredients: bread, butter and lobster. To our surprise -- and often dismay – we tasted extreme differences. The meat ranged from sweet, warm and tender to fishy, rubbery, and dry. Some lobster chunks were gently poached in butter while others were nuked in a microwave. We tasted buns that were fresh and grilled to perfection and a few that were stale and soggy. Proportions of tender claw to chewy tail meat also varied considerably, not to mention price points. Very early in the hunt, we decided that the makings of a great CLR should include a fourth ingredient: Setting. By land or by sea, going for a lobster roll is destination dining. So place as well as taste played into our picks. Chunks of claw and tail meat are first poached in butter, and then ladled onto a grilled soft roll. A generous 6 oz. portion (the meat found in a two pound whole lobster) makes this colossal sandwich the heftiest along the coast – worthy of its name on the menu: “King Lobster Roll.” Knapp’s offers table service only, but the view from those tables is breathtaking, a panorama of the Mouth of the Housatonic, where the river meets the Sound. Sit outdoors on the new patio built after Sandy’s ravages and take in sails billowing in the wind, clam boats plying the waters, and gulls wheeling overhead. The briny air adds its own garnish to this top tasting lobster roll. First come first served on the patio. Tip: avoid the rest of the menu. Steps away from the birthplace of the warm lobster roll, this Irish Pub in downtown Milford serves a version that’s a fitting tribute to the original. The atmosphere may be strictly dive bar, but what’s wrong with that? Pass by the tables in the tavern, belly up to the bar like a local, and order the pub’s shibboleth -- a brew and a roll. Fermentation, malt and hops make the perfect pairing for a buttery lobster roll. As you’re downing your frosty, the bartender slides over a plate burgeoning with a 3 oz. mound of warm meat, stuffed into a grilled top cut long bun, flanked by a pile of hot, thick cut fries, steam rising, and a cup of creamy coleslaw. Forget those fancy gastro-pubs. Bar food doesn’t get much better than this. Tip: there's a double lobster roll on the menu. Dare you to finish it. Matt Storch is known for creative riffs on standard fare. But his take on the simple, unpretentious lobster roll? To our delight, Storch doesn't outkick his coverage. His rendition is a heartfelt homage to the classical CLR he grew up with along the shore: a quarter pound of chopped lobster, slowly warmed in butter, ready for a spritz of lemon. His lone tweak: the bun. It’s a sturdy, top-cut pretzel roll, salty and nuanced with umami flavors, but also built to soak up any excess butter without getting soggy (a roll problem that was fairly common at some of our stops. When buttering meat destined for a thin, hot dog bun, drizzle actually works better than drench) The playful plating promises a picnic. Just gaze at the colors and shapes on the plate: the warm, reddish hues of glistening lobster heaped high in the golden pretzel bun, the sea-green stack of citrus slaw, and a “bag o’ home made chips” burnished barbecue brown. You can’t help but grin. And salivate. Tip: During the summer, Storch also serves a higher end CLR at Match, his flagship in Norwalk. Their award winning CLR is the quintessence of simplicity…. and restraint. This mini-chain boasts three seafood “shacks” off the Boston Post Road in New Haven, Madison, and Westbrook (a 20 mile stretch featuring so many seafood shacks that we have dubbed it “Lobster Lane.”) Although the 2 ½ ounces of tender lobster meat may be the lightest portion found on our expedition, the succulent claw and tail chunks fit just right inside the top cut grilled hot dog bun, so fresh it seems to float. Neither meat nor bread is adorned by excessive butter, so best to begin by anointing the lobster with a squirt of lemon juice, and then take a bite. The burst of sweet flavor and freshness is Lobster Haven, light and warm as a sun beam. Even the daintiest diner will quickly finish the rest of this unfettered roll and be tempted to order a second. Despite the crowds, service is fast and friendly. All three of these clean and spacious table service restaurants sparkle. “Shack” is strictly a metaphor. Tip: instead of another roll, order a side of fried clams. The creamiest we’ve ever tasted. Many crustacean connoisseurs claim the lobster roll at this tiny shack in Clinton ranks as the best of them all -- not only in Connecticut but the entire East Coast. Be that as it may, the 100 year old sea-worn shack is certainly the most authentic and nautical. The landing perches on pilings directly over the water and every table sits outdoors atop a floor of broken sea shells. Even the restroom is al fresco (a PortaPottie). Owned for the past 20 years by Enea and Cathie Bacci, the charming Mom and Pop operation is actually much more sophisticated than it first appears. The Baccis commission a fleet of 9 boats to bring them fresh lobster from the Sound. They even get their special gluten-free long buns from a gourmet bakery in Vermont. Every aspect of the operation has been honed for maximum efficiency.  You order at an outdoor counter and take a seat at a blue checker clothed table. Within five minutes, you are chomping into a 10 inch bun loaded with a quarter pound of glistening lobster tail, leg, and claw. Like Lobster Landing itself, the dish is plain, simple, un-presupposing. The real deal. And at their price-point: a good deal. Tip: stop in at the retail market to take home a whole lobster, likely pulled from the Sound that very day. Overlooking the bustling New London marina, Scott’s took a pounding from Sandy’s surge and has only recently reopened, just in time for our visit. Good for us, since their two sizes of lobster roll are acclaimed all through Southeast Connecticut. (It’s a favorite snack spot for cadets at the nearby Coast Guard Academy, sailors who know a thing to two about the sea.) The large sized CLR brandishes a hefty 5 oz. of succulent lobster loaded into a boat-shaped bun, very butter worthy. For kids, and those watching their waistline and/or wallets, the smaller portion (2 oz.) sits in a dink-like vessel, that takes just three or four bites to devour. Counter service only. All seating outdoors. Lines and waits can be long, so bide the time and watch the traffic of a working water way. Tip: forget calories and also order a shake, made with Gifford’s Ice Cream, a sublime premium IC once enjoyed only in D.C .parlors, but now available in New England.